On Thursday the House Appropriations Committee passed a Fiscal Year 2018 Commerce, Justice, Science Appropriations bill that ties ATF funding to the roll-back of certain gun regulations. For example, the bill disallows the use of federal funds for the Obama-era multiple long sales reporting regulation, implemented in the wake of the Obama DOJ’s Fast & Furious gun-running scheme. The reporting requirement for multiple long sales was the only gun control the Obama administration was able to put in place as a result of Fast & Furious, and it is de-funded in the Appropriations bill. None of the funds made available under this or any other Act, for fiscal year 2018 and each fiscal year thereafter, other than for the national instant criminal background check system established under section 103 of the Brady Handgun Violence Prevention Act…may be used by a Federal law enforcement officer to facilitate the transfer of an operable firearm to an individual if the Federal law enforcement officer knows or suspects that the individual is an agent of a drug cartel, unless law enforcement personnel of the United States continuously monitor or control the firearm at all times. 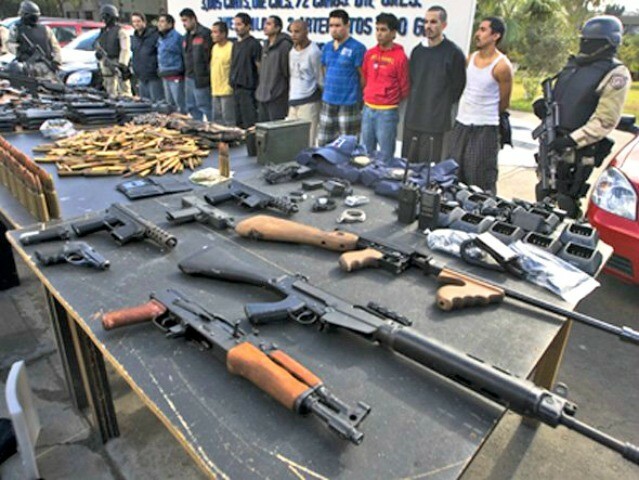 In Fast & Furious, over 2,000 firearms were sold to buyers who then smuggled them across the U.S./Mexico border for the purposes of giving them to cartel members. This was done under the guise of Obama’s DOJ and ATF tracing the guns and making arrests of the cartel members. But the DOJ/ATF failed to trace the guns, effectively loosing them once they crossed into Mexico, if not before. The Act also forbids any funding to be “obligated or expended to implement the Arms Trade Treaty” (ATT). That treaty was signed by the Obama administration, but the GOP-controlled Senate refused to ratify it, and the House is trying to bolster that refusal by prohibiting funding for the treaty. The ATT is couched in the language of stopping the illegal flow of guns across borders and is fashioned in a way that will require gun registration in order to be enforceable. After all, how would international monitors and agencies know where smuggled guns originated unless they knew who purchased and possessed the guns prior to their being smuggled? The gun registration requirements would have to supersede laws against the same in countries that ratify the treaty. The Act passed by the House Appropriations Committee will not allow the treaty to be funded.